In addition, we closely safeguard the privacy of children and do not gather any more personal information than necessary to allow for participation in specific zoo programs, activities or events. Anyone under the age of 13 is prohibited from providing any identifiable information to our website without the consent and assistance of a parent or legal guardian in order to perform any online transactions. We only collect personally identifiable information when you submit it voluntarily to our website. At the time you conduct a purchase, make a donation yourself or in memory of someone, sign up or register for a promotion or any of our educational or membership programs, we may collect and store your name, email and postal addresses, phone number, credit/debit card numbers and other relevant personally identifiable information. This information is required to provide services that you request and to inform you of additional services about which you may be interested. Additionally, we use your personally identifiable information to improve our marketing, development and promotional efforts, to statistically analyze site usage, to make improvements and to customize our site’s content to better serve you. We may also use your information to deliver additional information to you that is intended to target your identified interests; in particular, we may use your email address or mailing address to contact you regarding notices, offerings and communications relevant to you on this site. This information is automatically transmitted by your browser from whatever device (computer, smartphone, tablet) you are using to visit our website. It can consist of: the URL (or address) of the web page you previously visited, the domain names and/or IP addresses of the computer you are using; and your browser software and operating system. This information is used to monitor site usage and traffic patterns of our customers in order to improve our website. We also collect anonymous demographic information, which does not identify specific individuals, such as your ZIP code, age, gender, preferences, interests and favorites. The Alabama Gulf Coast Zoo does not sell, rent or lease its customer lists to third parties for marketing purposes. We may, from time to time, contact you on behalf of external business partners about a particular offering that may be of interest to you. In those cases, your unique personally identifiable information (e-mail, name, address, telephone number) is not transferred to the third party. In addition, we may share data with trusted partners to help us perform statistical analysis, send you email or postal mail, provide customer support, or arrange for deliveries of items you purchase through our website. All such third parties are prohibited from using your personal information except to provide these services to the Alabama Gulf Coast Zoo, and they are required to maintain the confidentiality of your information. The Alabama Gulf Coast Zoo takes precautions to secure the personally identifiable information you provide when using this site from unauthorized access, use or disclosure. When personal information (such as a credit card number) is submitted through order, contribution or registration forms or to make purchases, that information is protected through the use of the encryption software, Secure Socket Layer (SSL) protocol. The Alabama Gulf Coast Zoo reserves the right to photograph, videotape, or film our visitors on Zoo grounds, which may appear on this site for promotional and marketing purposes. We encourage guests to take photos for their own personal enjoyment. However, it is strictly prohibited to commercially use, or reproduce in any form, photography of our facility, animals, staff, or any zoo events that take place on the zoo grounds or at off-site venues, without the written consent of the Alabama Gulf Coast Zoo. Should you submit, upload, or post your personal photographs or video/film materials to the Alabama Gulf Coast Zoo website or its associated domains or services (via links to our social media sites, such as Facebook, Twitter and Instagram) as submissions (Submission), it is acknowledged that you do so voluntarily. In doing so, you are granting the Alabama Gulf Coast Zoo, its affiliated companies and necessary sub-licensees permission to use your Submission in connection with the operation of their Internet businesses including, without limitation, the rights to: copy, distribute, transmit, publicly display, publicly perform, reproduce, edit, translate and reformat your Submission; and to publish your name in connection with your Submission without it being a requirement in the usage of your Submission. The Alabama Gulf Coast Zoo is under no obligation to post or use any Submission you may provide and may remove any Submission at any time in our sole discretion. No compensation will be paid with respect to your Submission and it is also understood that the Alabama Gulf Coast Zoo does not claim ownership of the Submission. By posting, uploading, or providing your Submission you warrant and represent that you own or otherwise control all of the rights to your Submission as described in this section including, without limitation, all the rights necessary for you to provide, post, upload, input or submit the Submissions. You warrant to the Alabama Gulf Coast Zoo that you will not use our website and its internet affiliates for any purpose that is unlawful or prohibited by these terms, conditions, and notices. 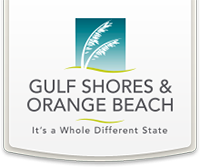 You may not use the Alabama Gulf Coast Zoo site in any manner which could damage, disable, overburden, or impair the site or interfere with any other party's use and enjoyment of our site. You may not obtain or attempt to obtain any materials or information through any means not intentionally made available or provided for through the Alabama Gulf Coast Zoo and its internet services.